Our cocurricular program is wonderfully diverse and dynamic, offering something for all students. Through our cocurricular program, students gain a sense of their place in the world and how they can make meaningful contributions to society. Every activity is carefully and considerately designed to further each individual’s intellectual, personal, physical, social and emotional growth adnd development. Sport plays an important role in the life of a St Leonard’s College student. Participation in sport not only contributes to physical health and fitness, but also provides opportunities for students to build new friendships, discover their potential and unearth new passions. From before-school fitness training, to state and international level competitions, our sport program offers something for every student. Regardless of their experience or performance level, our students have the opportunity to participate, challenge themselves, and achieve their best. Our facilities and coaching staff ensure that wherever their interests lie, each student’s enthusiasm and dedication is supported and nurtured. 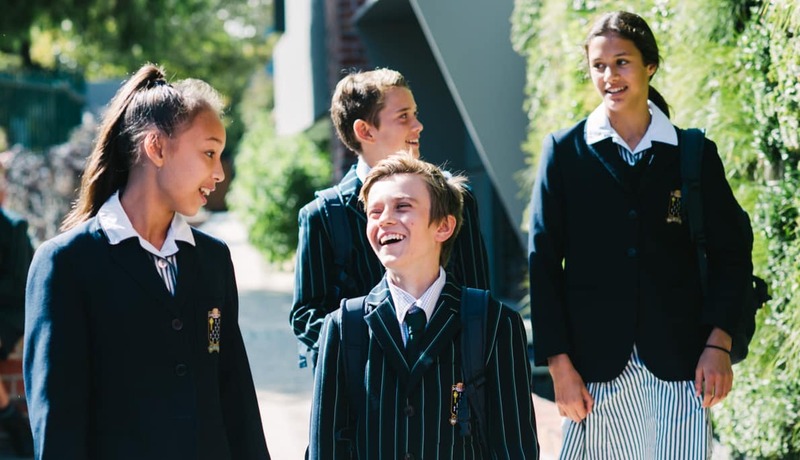 With a growing list of over 20 sports available, including cricket, football, basketball, netball, swimming, cheer sports, surf lifesaving and sailing, all students have the opportunity to participate and find enjoyment through sport. 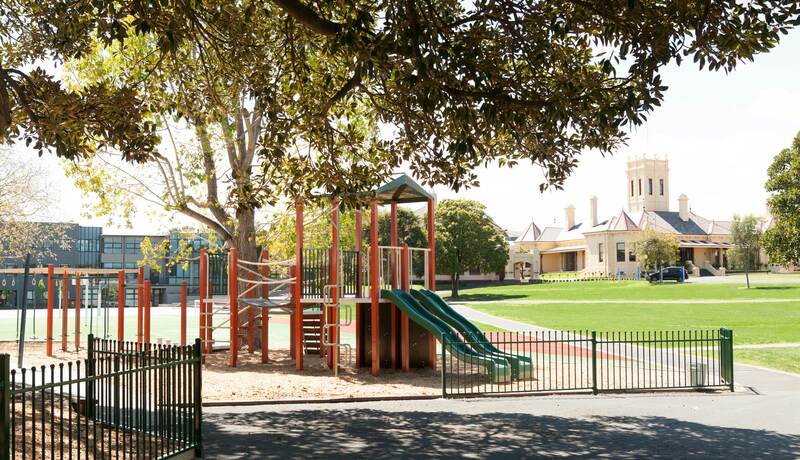 In years 5 and 6 students compete in a range of sports in Coeducational Independent Primary Schools Sports Association and South Yarra District Sports Association competitions. Students in years 7 to 12 represent the College in the Association of Coeducational Schools (ACS). All ACS games take place during the week, leaving weekends free for students and families to pursue other activities. Outdoor and environmental activities are pivotal to our commitment to educate the whole person, and create significant personal development opportunities for students. Whether through mountain biking, orienteering, canoeing, snowsports or surfing, our students’ exploration of the outdoors builds technical skills and an understanding of environmental sustainability, as well as contributing to the development of imagination, leadership and humility. Our permanent campsite on the Banksia Peninsula, Camp Ibis, enjoys significant water frontage and provides the perfect setting for students to participate in sailing, canoeing, mountain biking, orienteering and initiative challenges. Students in years 5 to 8 attend annual camps at Camp Ibis, while those in older year levels complete multi-day hikes in various settings throughout Victoria. Our outdoor education program has been designed to expand on students’ current knowledge so that they develop a better understanding of themselves, their capabilities, and how they can use their skills to further their leadership and communication abilities, and contribute to a healthy and sustainable future. Our students are provided with positive and enjoyable experiences across a wide variety of activities. Learn more about Health, Sport and Excercise Sciences at St Leonard's by downloading the brochure below. St Leonard’s College Swimming Program Our College offers a range of opportunities for young people with a passion for swimming, including participation in ACS Swimming, Swim School and Swimming Lessons, and Swimming Club. Each year the College calendar is filled with a spectacular array of concerts, international performance tours, recitals, musicals and theatre performances. The performing arts have long been an integral and vibrant part of life at St Leonard’s College. 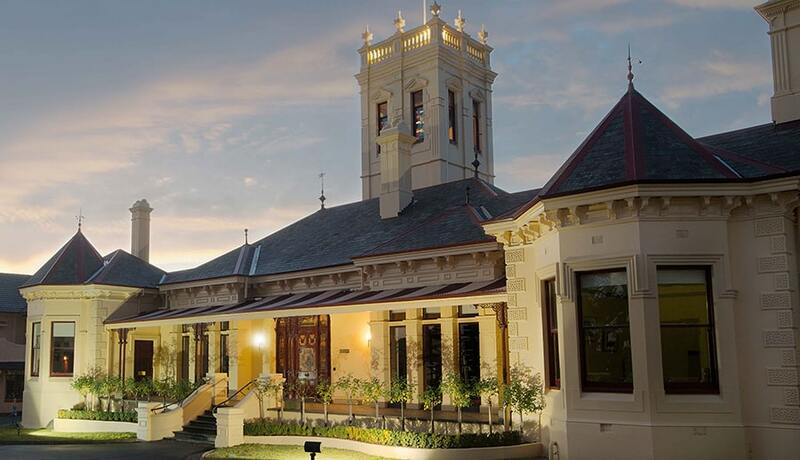 Our reputation in the community is one of excellence, with our productions acknowledged with state and national awards and many of our Old Collegians pursuing successful careers in the entertainment, music and theatre industries. 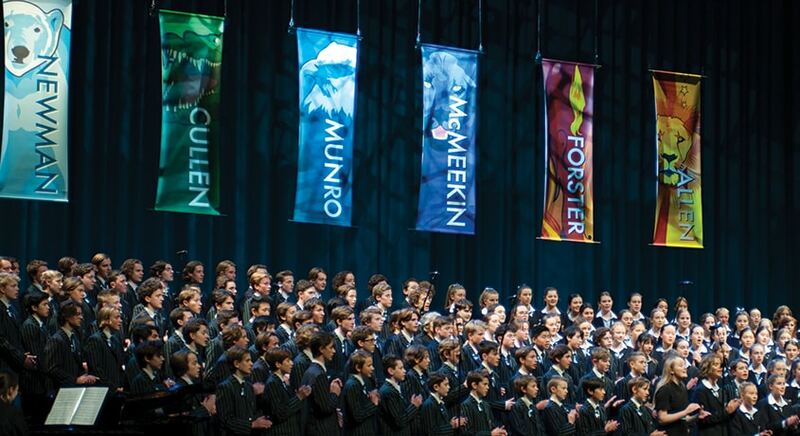 A variety of Big Bands, Concert Bands, Orchestras and Choral groups are open to all students. Other more diverse music ensembles include Gypsy Strings, Irish Group and Latin Ensemble. The College also provides more advanced ensembles including auditioned String Quartets and choirs at both Middle and Senior School. A significant number of theatre and musical theatre productions are staged each year by the College’s own Hart Theatre Company. 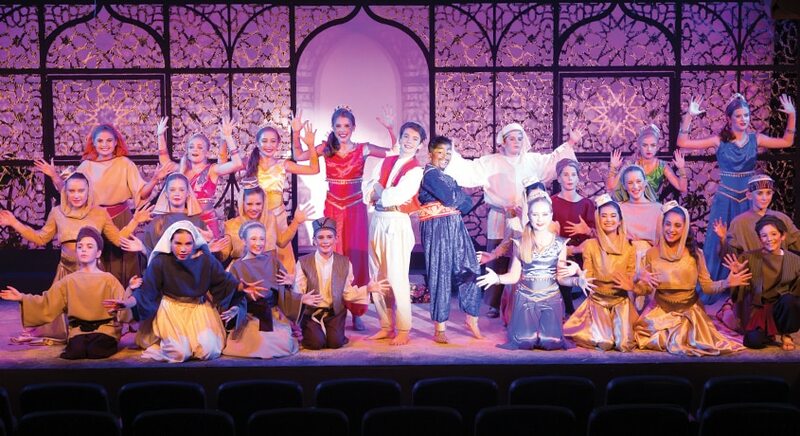 Students from years 5 to 12 have the opportunity to perform in musicals and plays and get involved in the behind-the-scenes aspects of production. In 2013 the College became the first school to win the Victorian Theatre Guild award for Best Junior Production two years in a row. In 2015 we were again nominated for five Victorian Theatre Guild awards, including Leading Male Role, Junior Production of the Year, Best Direction and Best Musical Direction. One of the most valuable aspects of the cocurricular performing arts program is the tradition of student leadership. House Music Captains have the prestigious task of organising, leading and conducting their House in the annual House Music competition, which is performed at the Plenary, Melbourne Exhibition Centre. Performing Arts leaders (drama, dance, band, strings and choir) work in collaboration with staff in the management and promotion of the variety of cocurricular ensembles, concerts and productions throughout the school year. Our St Leonard's College Hart Theatre Company is set to bring five diverse productions to life in 2019. Download our season brochure to learn more. Developing a strong sense of community and encouraging young people to positively impact on the lives of others is at the heart of everything we do. Community is the cornerstone of St Leonard’s College – both our own College community and the wider local, national and international community. Our students are encouraged to consider their place in the world and to understand that with great privilege comes great responsibility. At every age and stage, students explore their gifts and how they can contribute to the world around them in a positive way. Our students understand the importance of respecting, supporting and caring for others, and are challenged to actively participate – not only in fundraising but also by contributing their time and talents to worthy causes. Social justice programs are designed to assist students to personalise their actions and to understand that helping others is not simply a mandate from their teachers, but a lifelong mindset to be developed. Whether it is through involvement in our Amnesty Club, fundraising for their House charity, participating in our Lennie’s Van initiative, service activities completed as part of the International Baccalaureate Diploma Programme, or supporting our partner schools in Bangladesh and Nepal, our students wholeheartedly embrace their responsibilities as global citizens. Along with the benefit they bring to others, these programs provide valuable opportunities for young people to look at their own situations, consider their obligations, and develop as responsible and compassionate members of society and agents for change in our world. We invite you to view the video below for information on our St Leonard’s College Lennie’s Van initiative. The House system is an important part of College life. It encourages the building of peer relationships across year levels. It also provides students with a range of leadership opportunities. Students at all levels are assigned to a House upon commencement at the College, and the vertical structure of the system allows them to build friendships across age groups and year levels. The relationship-building and teamwork skills developed within the House framework set our students in good stead for the types of interactions they will face in tertiary education and in the workplace. Furthermore, the House system offers students a plethora of opportunities to seek positions of leadership in sport, performing arts and other cocurricular pursuits. The six Houses are Cullen (green), Allen (yellow), Munro (blue), Forster (red), Newman (aqua) and McMeekin (purple), all of which are named after prominent figures in the College’s history. One of the most important aspects of providing an holistic education is to ensure all students are given opportunities to experience the world around them. Each year our students are invited to participate in a range of interstate and overseas tours and exchanges, which offer additional breadth and depth to their interests and studies in music, language, sport, social justice, history and culture. These experiences allow students to encounter new parts of the world, connect with peers from across the globe and deepen their understanding of other people and cultures. 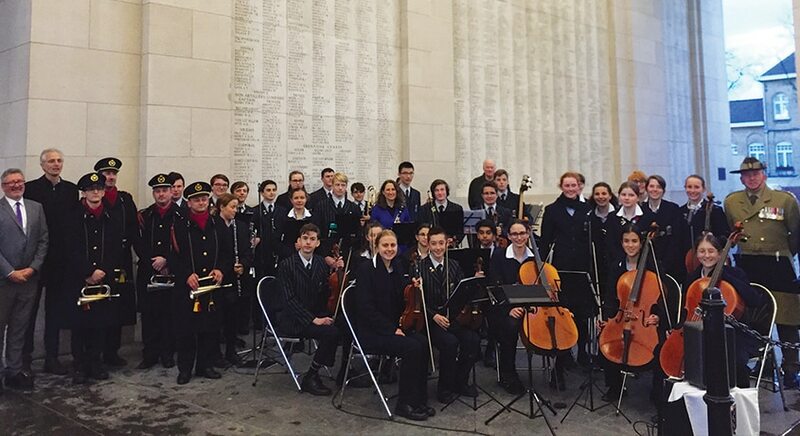 Language exchanges enrich students’ classroom learning by providing opportunities to experience the life and culture of the country studied, and recent cocurricular tours have seen our musicians perform at ANZAC Day ceremonies at L’Arc de Triomphe in Paris and Villers-Bretonneux. Our students regularly travel to represent the College, the state and the country in sporting competitions in everything from basketball to sailing, cheer sports and adventure racing. 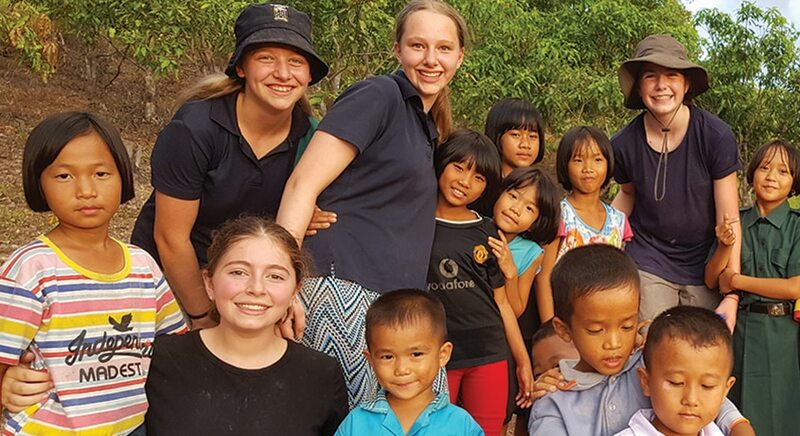 Many of our social justice programs also have an international focus with students completing service activities with our partner schools and organisations in countries such as Nepal, Vietnam, Thailand and China. Our relationship with Warruwi Community School on South Goulburn Island, Northern Territory, provides a unique opportunity for students to connect with a remote Indigenous community and gain an understanding of their lifestyle and culture, and its similarities and differences to their own. Participation in these programs provides students with lifelong friendships and memories, as well as developing independence and resilience, and challenging students to consider what it means to live as members of a global community.